Notes: A classic album from the first notes of "Take Five" to the last strains of "Pick Up Sticks". 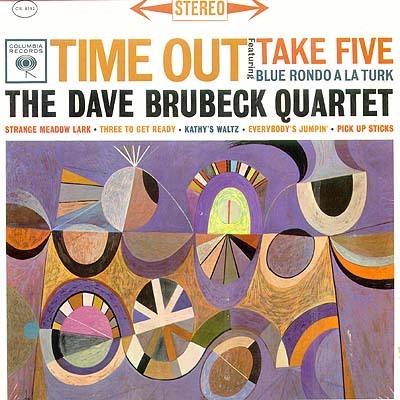 "Blue Rondo A La Turk" has a 9/8 beat that grabs you and won't let go, even if it does ease up a bit in the refrain it comes right back for another lap around the track. The abstract cover art and extensive song-by-song liner notes make for a nice complete piece. 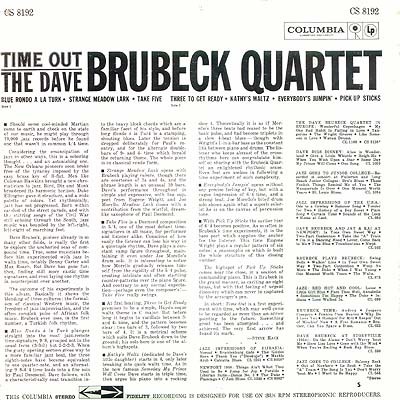 Brubeck uses this album to fully explore compound time signatures and the results are ours for the taking. Find it, get it, dig it.